Buylandingpagedesign wish you a Merry Christmas. Our happiness lies in your success and we thank you for the trust you have shown in us and our designs. We hope and believe that our designs will continue to impress you and help you in achieving higher conversion rate in the coming year as well. As a gesture of thanksgiving we are offering 15% Flat discount on all designs and 25% Flat discount to existing users and newsletter subscribers. 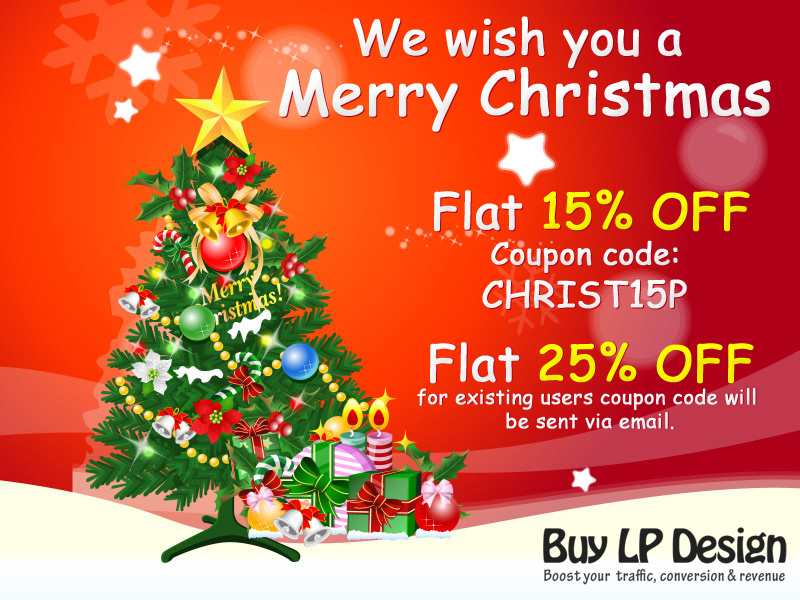 Flat 25% discount to email subscribers as token of appreciation – Coupon code will be sent through email newsletter to all users and email subscribers on 20th December 2014.